C3 Athletics Brining On The Heat! We’ve had a long and hardworking winter! Many new faces around the facility. The members of C3 Athletics, Stamford Fight Club, and the Superwoman Fitness Programs have all been aiding each other in achieving our fitness goals. The Warriors Program has been skyrocketing. Our children (starting around the age of 3) have been training hard and learning under the watchful eyes of their Instructors. We have watched them grow into a group of highly disciplined “Warriors.” They have been actively competing and winning! On top of that, they are a warm group of kids who always are welcoming of newcomers and eager to help new students learn. 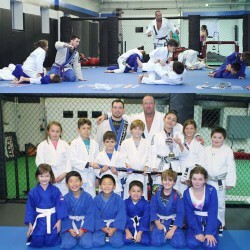 Between the Brazilian Jiu Jitsu classes and the Muay Thai striking program, these kids are developing quite a skill set. Most are unaware of this, but every class the children learn a new “Warrior Trait,” inspired by the United States Marine Corps’ famed 14 Leadership Traits. The Warrior Traits give the kids something to take home and practice that is not necessarily a physical martial art skills, but rather something that helps them develop mentally and builds character. The Muay Thai classes have been blowing up! Under Primo and Elvis, students are quickly trying out and getting HOOKED on the Vision Quest Muay Thai system. Within the past few weeks, we have had fighters both from our gym and our partner gym, Westchester Fight Club, go to the WKA National Tournament and dominate for the second year in a row. The Muay Thai classes have been structured to offer a variety of techniques and combinations, depending on the level of experience of the individual in the class. 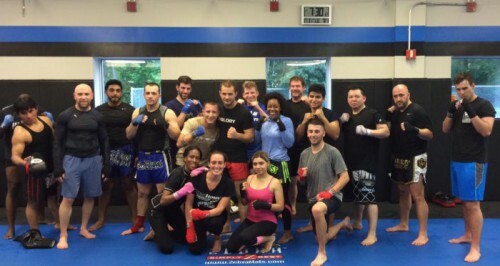 Every Friday night, the Muay Thai contact/sparring class takes place after the normal scheduled class. Here, students have been applying some of the skills they learn during their training in a safe, monitored environment. In other news, we have a very busy summer ahead of us and we hope every is ready for the ride! Please feel free to grab a friend and come bring them to train, if they fall in love with it and sign up we pay you! Don’t forget to follow us on Facebook and join the group “C3 Athletics Fam” for constant updates and picture postings! For more updates on upcoming fights and gym-related events, follow C3 Athletics on Facebook and @c3athletics on Instagram.